50 Standard Colours and 250+ Optional Colours. There is no extra delivery time and only a small premium on optional colours. 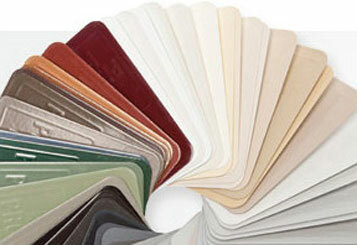 Check out the standard colours below and use the colour selectors to see individual products in your favourite colour. For more options please download the complete colour chart below.